Fat Friends is very much a piece of crowd pleasing theatre. Pulling together multiple stories of the good folk of Headingley, a town near Leeds, the stage is filled with likeable, if slightly caricatured, characters and is a straightforward evening of undemanding fun. The show boasts a good cast, with Jodie Prenger taking the lead as Kelly, and doing so with a cocky northern confidence and a belting singing voice. Sam Bailey (The X-Factor) is great as Kelly’s Mum and Natasha Hamilton (from Atomic Kitten) is the scheming Julia Fleshman. Thrown into the mix is an affable turn from Kevin Kennedy (Coronation Street) and ex-cricketer Andrew “Freddie” Flintoff, who takes to the stage and fares better than expected with a slightly stilted, if not tongue in cheek, portrayal of Kevin; Kelly’s nice but dim fiancé. The songs are amiable enough and used to move the story forward, and whilst they were perfectly pleasant to listen to and shoehorned a few laughs into the lyrics, they served their purpose well enough in terms of keeping the show upbeat and jolly, but were ultimately fairly forgettable. The live orchestra added to the atmosphere within the theatre and the set design was a colourful cartoonish affair which was well lit and effective in its simplicity. Written and directed by Kay Mellor, who wrote the original TV series that the show is based on; Fat Friends is a rather loud, boisterous and upbeat show, which really resonates with its target audience. 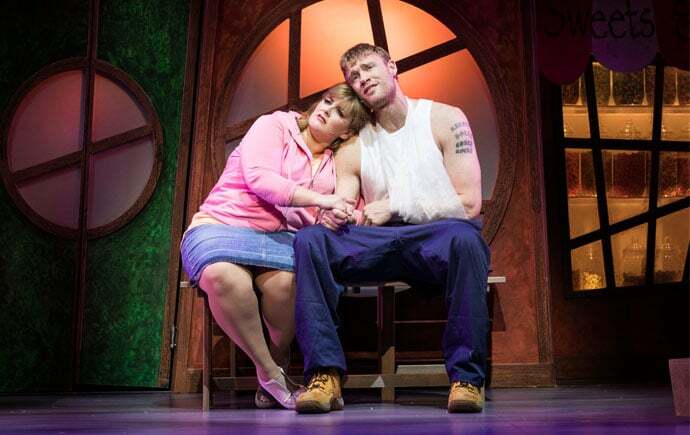 It’s a rather clichéd musical by numbers, with a heavy handed script, fairly trite lyrics and a rather unsubtle approach to its humour, but what it lacks in sophistication, it makes up for with likeable characters, a few good belly laughs and buckets-full of near the knuckle, northern charm. Fat Friends is currently playing at Sheffield Lyceum Theatre until the 17th February 2018. 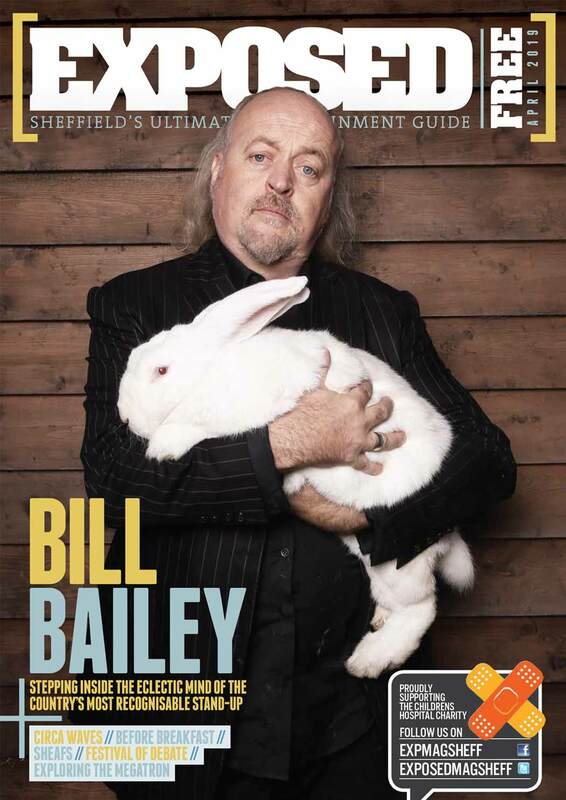 Visit www.sheffieldtheatres.co.uk for details.